I remember being struck by how my son, David, looked at me – really looked at me. He took in my facial expressions, my words, the tunes I sang, and responded with his own changes in facial expression, babbling and body movements. Wow! Wasn’t he just the brightest, most wonderful baby ever! Of course that’s how every parent feels! Having a good relationship with your child by responding to his cues and meeting his needs in a warm, caring way creates a close emotional bond referred to as “secure attachment”. By “cues”, I mean signals such as little frowns, wrinkled forehead, turning his face away, crying, smiling, imitating our expressions, rubbing his eyes, rooting, arching his back, cooing and laughing. When a child feels safe and secure, he’s more likely to explore his surroundings. Knowing his parents are close by if he needs them, he may try new things, be more likely to interact with other children and adults, and develop confidence. Don’t worry too much about trying to figure out exactly why your baby is crying. There were definitely times when I didn’t know why David was crying. Sometimes it is obvious, like a wet diaper, and other times it’s not. That’s perfectly ok – the important thing is that you try to comfort him, so that he learns to depend on you. And despite what you might hear, you can’t spoil a baby by comforting them when they are in distress/crying. How can you build a secure attachment? Children benefit in so many ways when we are responsive, sensitive and comforting. And research supports this as secure attachment “has been associated with better outcomes in areas such as independence, self-image, empathy and relationships with others in toddler-hood, school-age and adolescence”(Adapted from the Encyclopedia on Early Childhood Development). 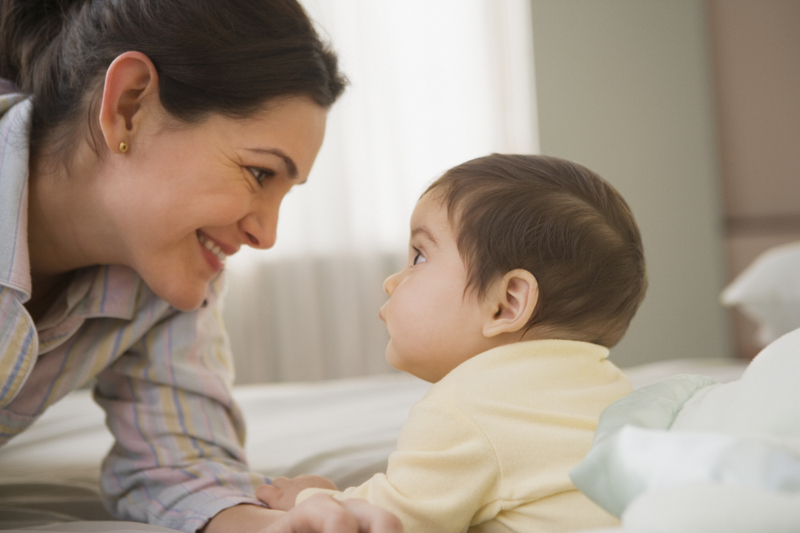 Learning to respond sensitively to your infant now, will set the foundation for a secure relationship for years to come! This entry was posted in Babies, Parenting, Parenting Your Baby, Play, Growth & Development for Babies and tagged attachment, baby's cues, bonding, brain development, comfort, crying, crying baby, parent infant relationship, secure attachment, social skills, spoil baby, why is my baby crying. Bookmark the permalink.